So many apps and so little time. Often we get a new app on our iPad, use it a bit, love it but time is pulled away to other apps to do the day job and you forget to go back. Till you get an update notification and the excitement is there again. Apps for the iPad are growing in capabilities very quickly. Activities that you thought would require a full size desktop or notebook in the past can be done with your iPad. Of course, for the forseable future, there is still the need for the power of full size computers to video editing and programming. Images, design, databases and documents are all finding themselves pushed into the mobile world through apps. 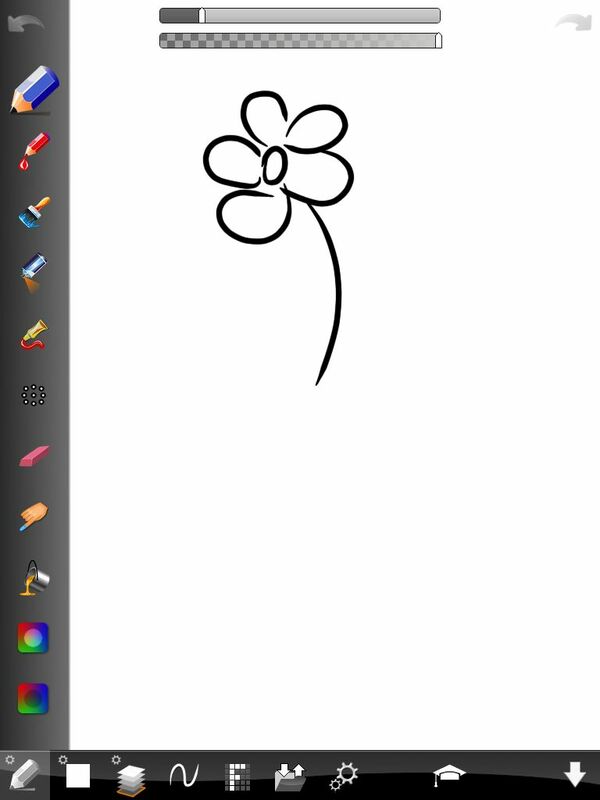 Case in point is ArtStudio. 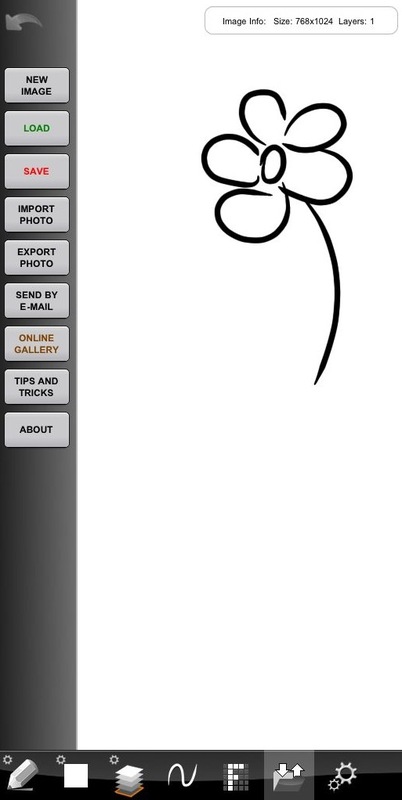 When we first saw it, most of us used it for the nice brush like writing and drawing tool. Calligraphy like lettering was quick to do, in a variety of colors and sizes. Today though, we are reminded of the depth of the tool set which ArtStudio offers. Across the top of the screen is the ever present undo and redo arrows. At the bottom of the screen is the option to view the tool bar. Starting at the left is the normal set of pen, pencil, brushes, eraser, paint bucket and gradients. Working across the tool bar you can adjust the colors via a picker or dropper color grabber. Below are the screens to see your list of art to choose from, very nice if you don’t want to work all the way through one piece of art at a time. There is also the feature to adjust your creation with filters like you would a photograph. 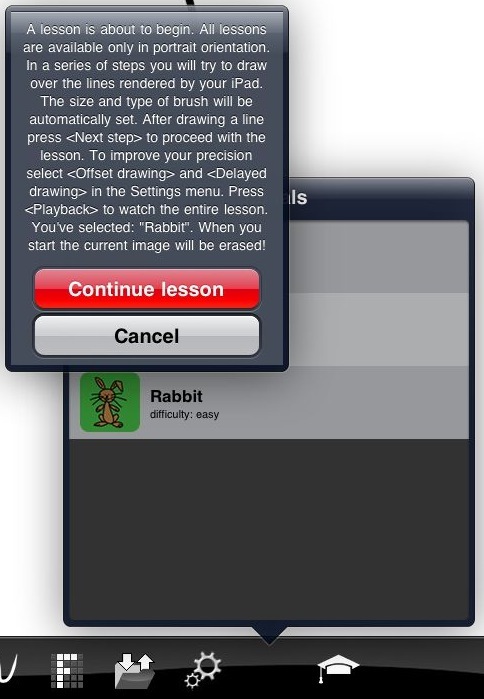 Just as a reminder for a feature we mentioned before is ArtStudio’s ‘learn to draw’ feature. Choose from the list of 3D, Animals, Faces and Human lessons (11 in all).